The large-scale weather pattern will change little from yesterday, resulting in another day of abundant sunshine and near-record high temperatures. 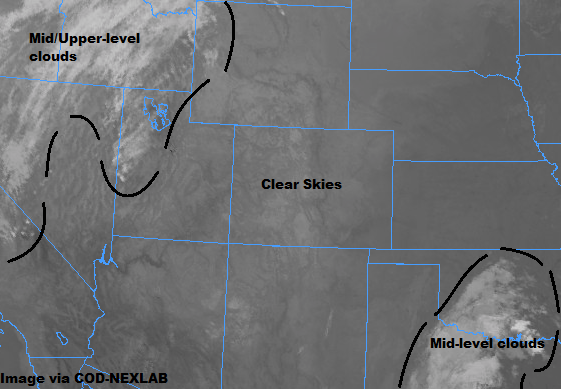 Some mid-level moisture embedded in the southwesterly flow aloft will move over the High Country late in the day and into the night, providing just enough moisture for the development of scattered fair-weather clouds, primarily over the San Juan Mountains and Central Mountains. Due to the continued dry and breezy conditions, fire danger remains elevated across the state, with a few Red Flag Warnings in effect for northwest Colorado. Hot and dry will be the name of the weather game, with very few clouds (if any) in the sky. High temperatures will push to near-record levels, with a couple flirting with surpassing records, especially over the Urban Corridor and Northeast Plains. Fire danger will be elevated, so please use caution with any outdoor activities. Mostly sunny skies and above-average warmth is on tap again today, with breezy southwest winds keeping fire danger elevated. 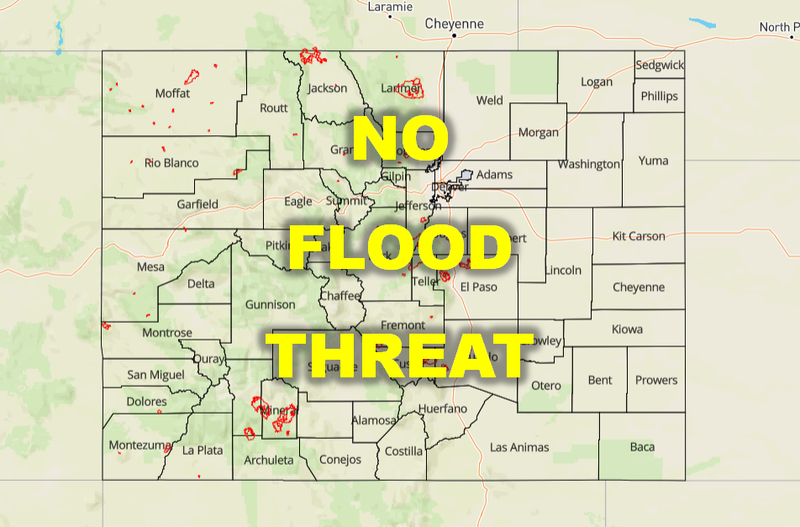 Red Flag Warnings have been issued for a couple counties in northwest Colorado – please check with your local NWS office for more information.